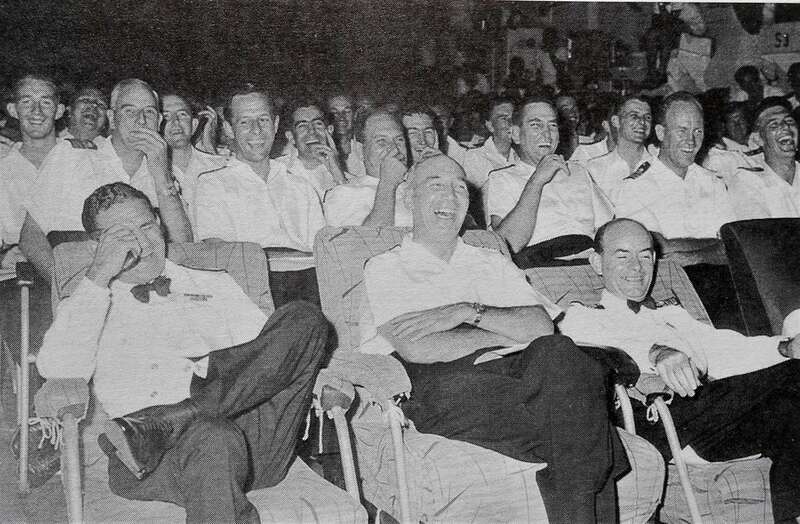 In our article about VAT Smith (here), there’s a photo of him enjoying a joke at a ship’s concert aboard HMAS Melbourne in 1961. Mystery photo 26’s task was to provide the names of people in the photograph. To assist with putting names to faces (literally!) the following key was provided. 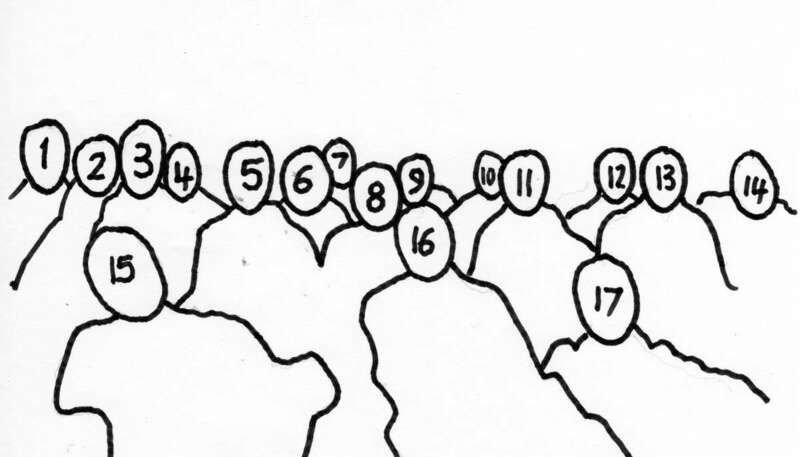 Readers were asked to give a name against each number if they could. Thanks to Phil Thompson for the image, and for Max Speedy who was the only respondent. No 3. Surgeon CMDR “Mumbles” Coplans (touching his mouth)? No 6. (left middle with his left hand index finger touching his ear): Father Mac, the catholic priest on the cruise. Reports are that he died in a car accident a few years later. No 14. (middle row, right): Fred Lane, although we’ve had a report it was W.K. “Dickie” Bird.